Sony Pictures’ slice of the Spider-Man universe is set to bring another film into the fold. As you know, Morbius the Living Vampire is set to join the fleet of Spider-Man related films coming out of the Sony Camp. Now, new casting news is set to put a Doctor Who alum to star alongside Jared Leto‘s depiction of the Living Vampire. 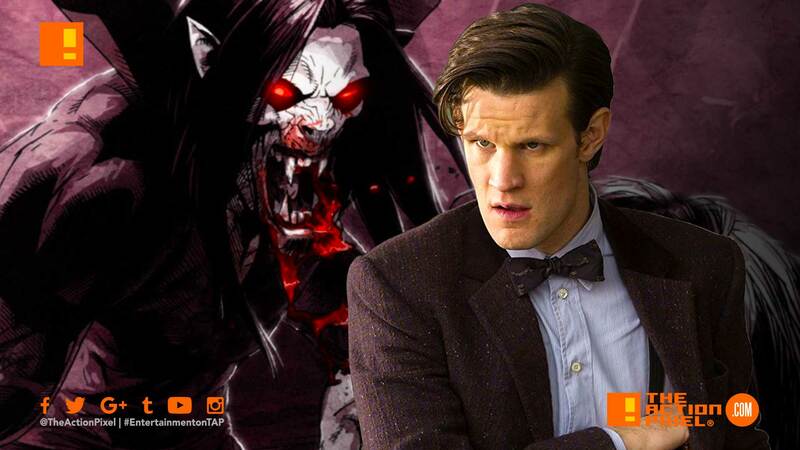 Matt Smith has been cast in Sony’s Morbius the Living Vampire movie that stars Jared Leto as the titular character. The details of Matt Smith’s role is being kept under wraps. However, we do know that his part in the film is said to be a major one. This news follows the announcement that also revealed the director of the film – Daniel Espinosa. Espinosa, the Scandinavian filmmaker who helmed Safe House and last year’s sci-fi thriller Life, will direct the feature, which has a script by Burk Sharpless and Matt Sazama, the duo who created Netflix’s Lost in Space remake.